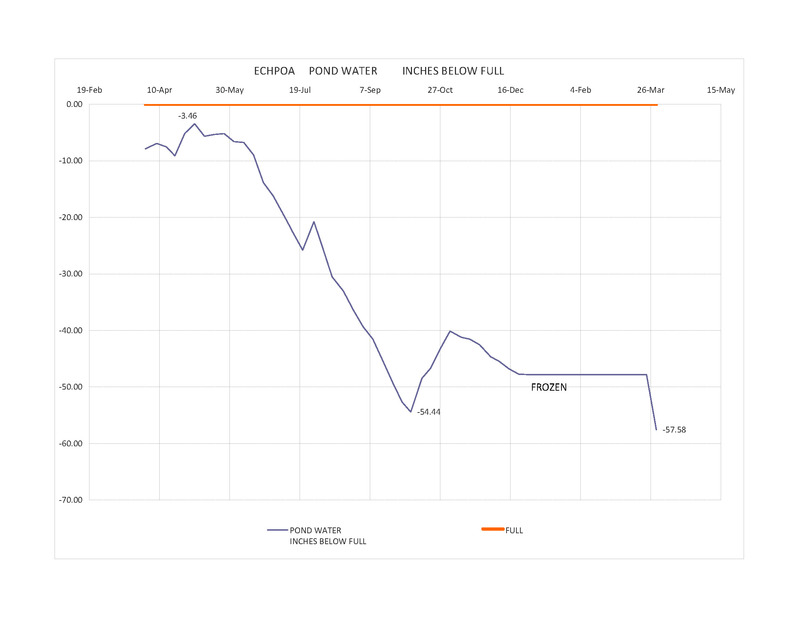 The pond water level has dropped significantly since last year! 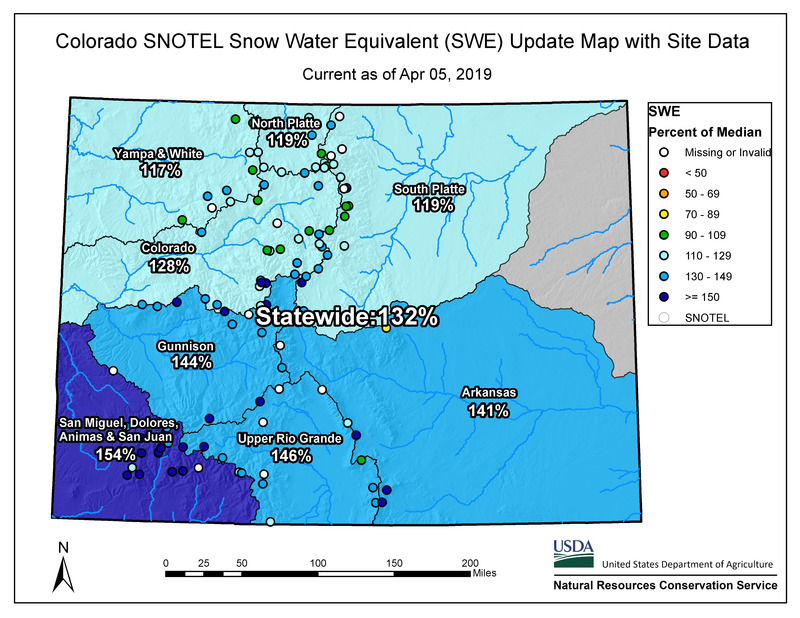 Hopefully, our awesome snowpack melt will make a huge impact! Are you a recreational shooter or do you live adjacent to or recreate on public lands where recreational shooting occurs? 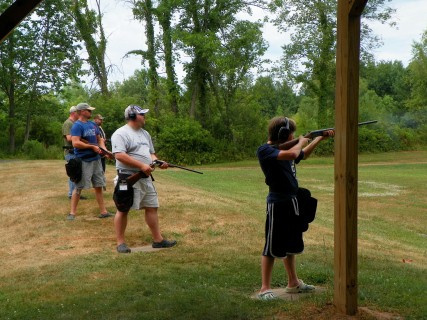 If so, the Southern Shooting Partnership (SSP) wants to hear from you. The Elk Creek Highlands/Meadows Property Owners Association will meet at 7 p.m., Wednesday, April 3, 2019, in the basement of the Association Building located at 86 Elk Creek Drive, Bailey. 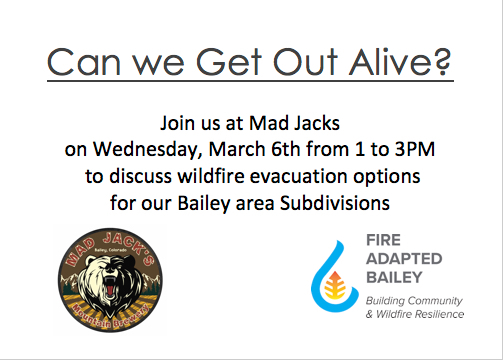 We will be discussing our spring Firewise Community Work Day to be scheduled sometime in May, and working with Firewise Adapted Bailey (FAB) on mitigation planning. Be sure to check out our new Save Our Pond fundraising website at https://www.ioby.org/project/save-our-pond. For more information, contact Karen Ellis at 303-514-8620, or CUNColorado@aol.com. The Elk Creek Highlands/Meadows Property Owners Association monthly meeting has been cancelled for March 6th. Our next meeting will be held at 7 p.m., Wednesday, April 3, 2019, in the basement of the Association Building located at 86 Elk Creek Drive, Bailey. During the April meeting we will schedule a date in May for our spring Firewise Community Work Day. Meanwhile, we really need community support to help in our efforts to become compliant with Colorado State Water Laws and Save Our Pond from being drained! Please visit our new Save Our Pond fundraising website at https://www.ioby.org/project/save-our-pond. 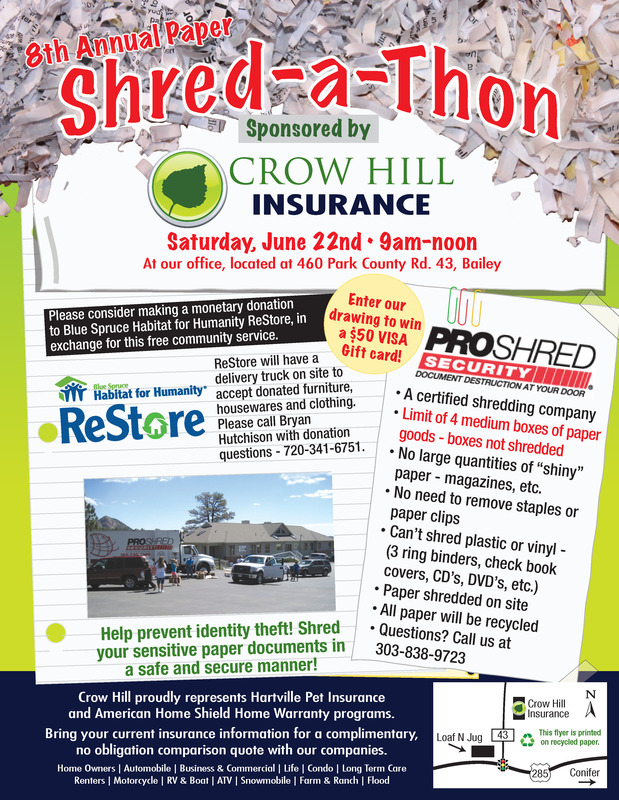 For more information, contact Karen Ellis at 303-514-8620, or CUNColorado@aol.com.